A stereotactic brain surgery is a surgical procedure where lesion is managed with assistance of image guidance, that is previously obtained radiological images. This helps in guiding the surgeon to the exact location of the lesion to facilitate as accurate a pathway through the brain. 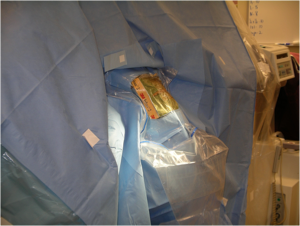 Then the surgeon performs the procedure while leaving the normal, healthy brain relatively intact. Stereotactic brain surgery is performed with a computer system that integrates previous imaging, usually a special MRI or CT performed one or two days before the surgery. This image is imported into the computer system that provides us with a 3-dimensional image of your brain and our intended target while we are in the operating room. We use this image, along with instruments that show us exactly where we are in the brain as we work to guide our removal of the target lesion. Stereotactic brain surgery gives us the added advantage of planning as an small incision as possible over the target area of interest. This generally results in smaller incision, which results in better wound healing and smaller scars. 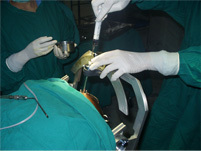 a light-weight frame is attached to the head using local anesthesia. The head is imaged by CT, MR or angiography to identify the target in relationship to the external frame. Since both the frame and the target are “seen” in the images, the distance of the target from reference points on the frame can be measure in three dimensions. 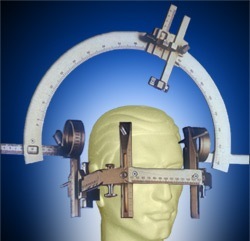 Surgical apparatus attached to the head frame can be adjusted to the three-dimensional coordinates of the target, and the target can be accurately approached by the surgeon. 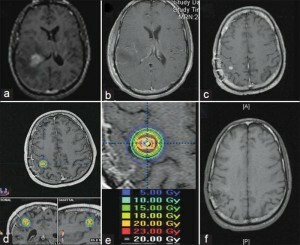 A common example is stereotactic brain biopsy. 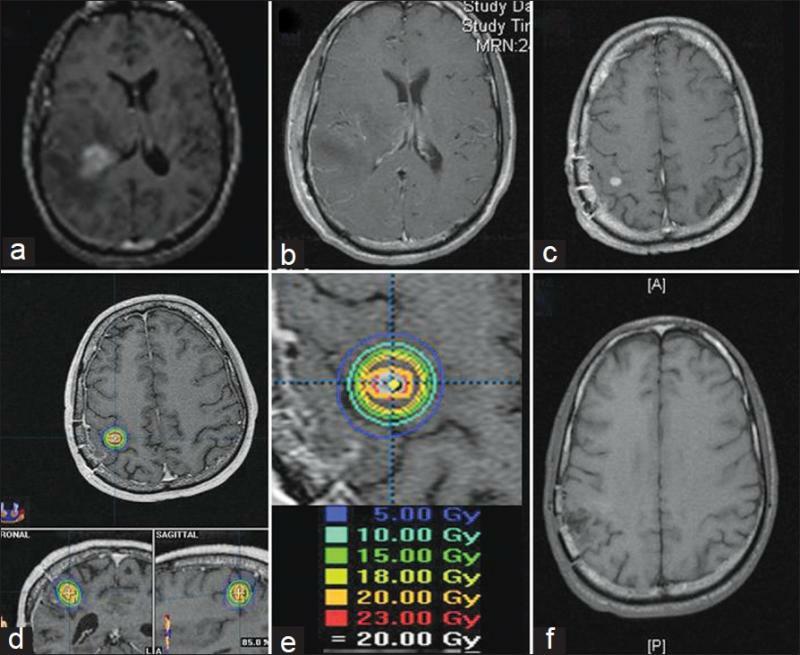 Deep tumors within the brain may be difficult and dangerous to approach by an open operation. 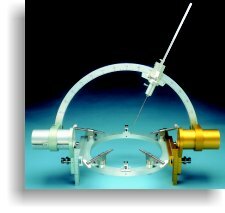 Using a stereotactic biopsy apparatus fixed to the head frame and adjusted to the target coordinates, a biopsy probe is passed through a small hole in the skull to sample tissue for diagnosis.This technique is also used to place electrodes in the deep brain to treat movement disorders such as Parkinson’s disease.